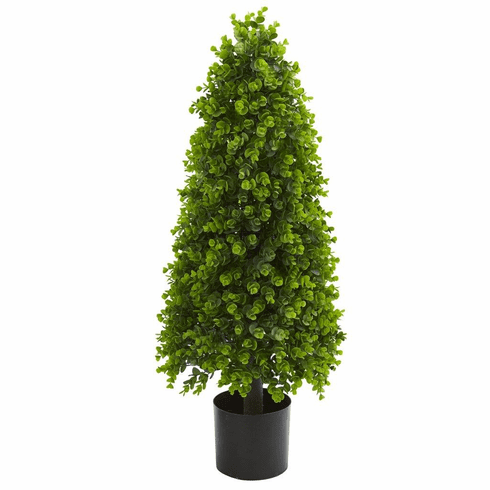 Bountiful amount of light and dark green leaves forms several layers on this eucalyptus topiary artificial tree. At a height of three-foot, this tree’s manageable size makes it a good fit for a secluded breakfast nook. To give this tree additional height, place it on a corner table to let it be seen over your nook’s table or bench. Height: 3 Ft., Width: 14 In., Depth: 14 In., Color: , Pot Size: H: 6 In. W: 7 In. D: 7 In.